Netflix is essentially a must for just about everyone whether you're a heavy TV viewer or not. This is the least expensive pay service. The library is expansive and the company keeps releasing very high-quality original content. There are numerous features and the interface is easy-to-use. There is a balanced selection of both movies and TV shows including entire seasons. There is no new releases and content comes and goes frequently. If you haven't tried it in awhile its worth revisiting. Netflix is a subscription DVD by mail and video on demand service. Netflix originally started by mailing DVDs for rent to subscribers. 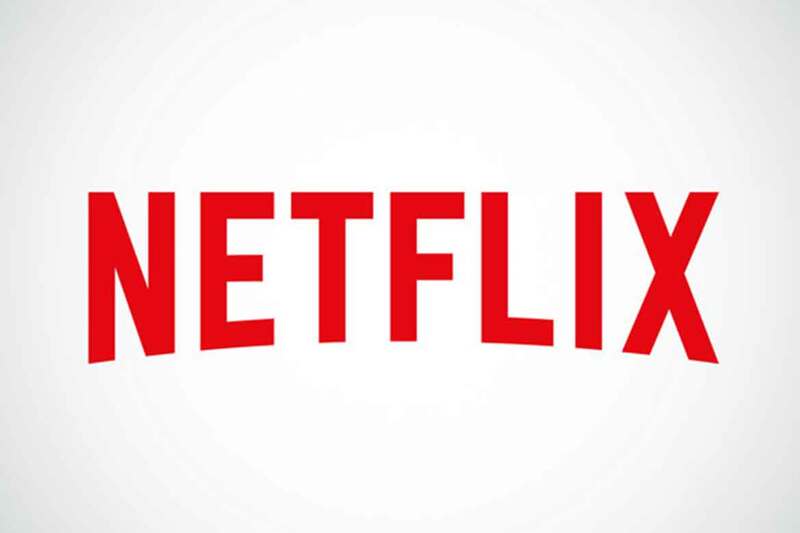 In 2010, Netflix began growing the streaming service which currently operates in 190 countries. 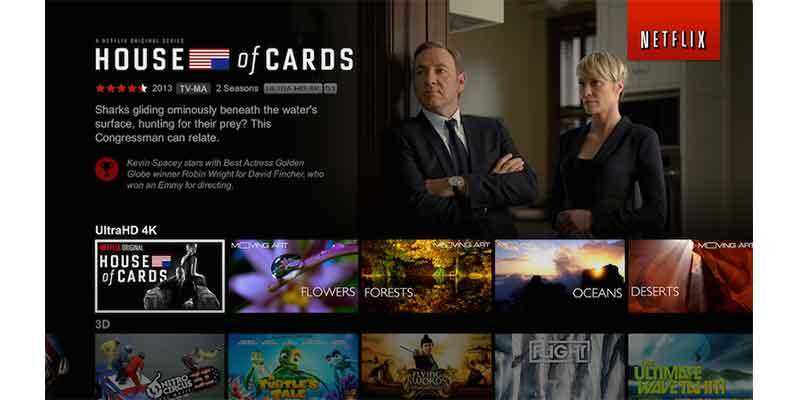 Netflix is definitely one of the companies that have spearheaded the streaming revolution. They offer thousands of titles on-demand and have produced hundreds of original series on available through their service. Netflix has been an incredibly popular on-demand service even for people who have not cut the cord yet. Netflix does not offer live streaming TV. Netflix does not require a contract; subscribers pay a monthly fee to access a large catalog of movies and TV shows on-demand. There is no installation; the service is delivered over an internet connection. Users can watch Netflix on a streaming device, smartphone, or tablet. The service currently offers subscribers three different streaming plans: Basic, standard, and premium. All of the plans give you access to the exact same content. The difference between the plans is HD, Ultra HD, and how many screens you can watch at the same time. *Subject to change. Confirm with Netflix. Netflix still offers the DVD service as well. The DVD catalog for movies is far larger than the streaming catalog. DVD plans start at $4.99 (in addition to the streaming plan, if any) for one DVD at a time, for two DVDs maximum for the month. To get one DVD at a time but an unlimited about of DVDs per month the price is $7.99. And finally, the last plan gives you two DVDs at a time and unlimited exchanges. Blue-ray discs are an additional fee. You might be wondering, what exactly is on Netflix? The answer is…it depends. Netflix catalog is one that constantly changes but it is fairly consistent. You can always count on having the latest major comedy performances such as Dave Chappelle or Kevin Hart. They also have every major genre available from westerns to dramas to documentaries. There are actually 27,000+ genres. One unique thing Netflix has been doing lately is producing their own original content similar to that of HBO. Some popular shows include House of Cards, Orange is the New Black, Narcos, Stranger Things, and Marvel’s miniseries, such as Daredevil, Jessica Jones, and Luke Cage. Netflix has over 100 original series and most of them very good. This on-demand streaming service has one of the coolest features out there that is fairly new. When you scroll over a TV show or movie it won’t only give you a description but it will also automatically play the trailer. Netflix will also automatically recommend different content to you basic on your past history. Subscribers can access the service with virtually every streaming media device or player out there. Here is a list. Users get one concurrent stream for the $7.99/mo plan but can get two HD streams at one time for $8.99/mo. Other features include a mobile app, a customizable viewer profile, parental controls, game console app, smart TV app, a great search feature. The search feature automatically plays a trailer of the TV show or movie you are searching for or scrolling through. This calculator is designed to demonstrate what your typical cost savings would be if you canceled your cable subscription and signed up for one of Netflix’s streaming plans. First, enter the cost of your current plan and then choose which plan you would like. Click here to see our 2018 Cord Cutting Calculator that includes all services.